Mice may seem cute and cuddly when they’re in a high school biology classroom, or even somewhat heroic when they serve as subjects for medical research. The truth is that mice running around as Beaufort County SC winter pests are far more likely to carry diseases than cure them. Don’t let these small but dangerous critters put your family’s health at risk. 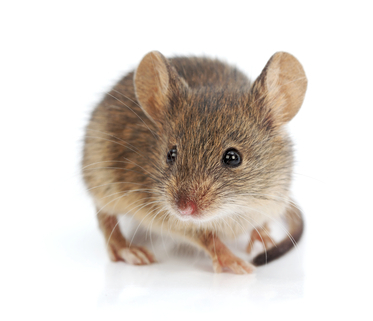 Let our Beaufort County SC winter pest control professionals explain what you need to know about mice and how to prevent the destruction they leave in their wake. House mice can be recognized by their slightly pointed noses and dark, protruding eyes. Their color is best described as grayish-brown, and their hairless tails feature visible scale rings. Even full-grown adult mice weigh less than one ounce on average. Mice breed primarily in spring and fall. Litters consisting of five or six babies are born approximately 21 days after mating. The young grow rapidly, usually able to travel from the nest and eat solid food at three weeks, which is why the winter months are prime time for spotting mice. • Mice tend to be nocturnal, which isn’t a problem because, like the creatures in the nursery rhyme, they’re nearly blind. Their other senses are much sharper to compensate for their lack of vision. • While mice are curious about their environment and have little fear of new objects, they usually travel in a limited area no more than 30 feet in diameter. • Seeds and grains make up the preferred diet of mice, but they’re not fussy eaters and they’ll nibble on just about any type of food they come across. Mice sometimes favor “junk food” that is high in fat, protein and sugar, such as bacon or chocolate candy. • Most animals can’t survive without water, but mice can subsist on the moisture content in their food when free water isn’t available. Inadequate water intake can reduce their breeding potential. • A mouse’s small size makes it easy to gain entry into houses and buildings through tiny openings that may not even be immediately visible to the eye. In addition, they have excellent gnawing, jumping, climbing and swimming skills, allowing them to navigate a wide range of entry points. – Urine and droppings are some of the more common signs, although it’s often hard to distinguish between mouse droppings and insect droppings. – Mice control their constantly growing teeth by gnawing on wood and other hard surfaces. Gnawed material and teeth marks are clear evidence of mice activity. Left unchecked, mice can cause structural damage to wood, insulation and other building materials. Gnawing can also result in secondary damage when chewed-up wiring leads to short circuits and fires. A more serious concern is disease that can be transmitted to humans and other animals by these Beaufort County SC winter pests. Both mice and the parasites they harbor can be carriers of salmonella, rat-bite fever, hantavirus, typhus, ringworm and pox. Mice are not protected by law, but their habits make successful DIY elimination difficult. Their size, limited range of movement and little need for free water can keep them out of conventional traps. In addition to being state licensed, all technicians at our locally-owned company are graduates of Purdue University’s Pest Control Technology Program. This training makes them exceptionally qualified to detect and eliminate the toughest infestations of mice and other Beaufort County SC winter pests. At Island Pest Control, we’re not satisfied until you’re satisfied. Contact us to schedule a free indoor and outdoor 58-point inspection.